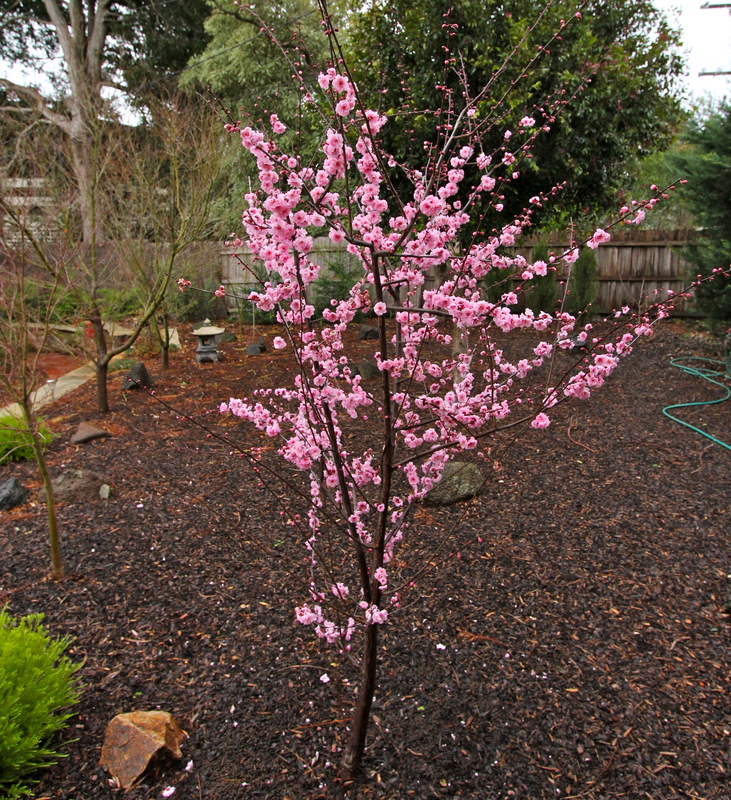 Every year in August the small sakura tree in my front yard bursts into a radiant display of pink blossom. No matter how many times I see it, I’m always in awe of its beauty and its ability to make me smile merely by its existence. The crazy thing is that it flowers during winter when rain and icy winds prevail. I think it should blossom during springtime on warm sunny days, but nature has its own agenda. It is during blossom time that I reflect on things that have taken place in my life since the last flowering. Have I made the best use of my time? Have I met my expectations? Have I helped my loved ones? Have I helped myself? Each day during its bloom I go outside to check if the blossom is surviving the bad weather and to my surprise it always remains. However after about two weeks the blossom gracefully blows away and disappears for another year. I love the fact that nothing changes the cycle of nature. It comforts me to know that the human elements that control so many aspects of our lives have no power over natural occurrences like the flowering of my blossom tree. This year I am dedicating my sakura blossom to Chinese philosopher Lao Tzu and his words of wisdom. Without a doubt, gratitude is one of the most important traits we can nurture to increase happiness. We can only experience true happiness if we really notice and absorb the beauty and joy of the little things that make a difference to our lives each day. 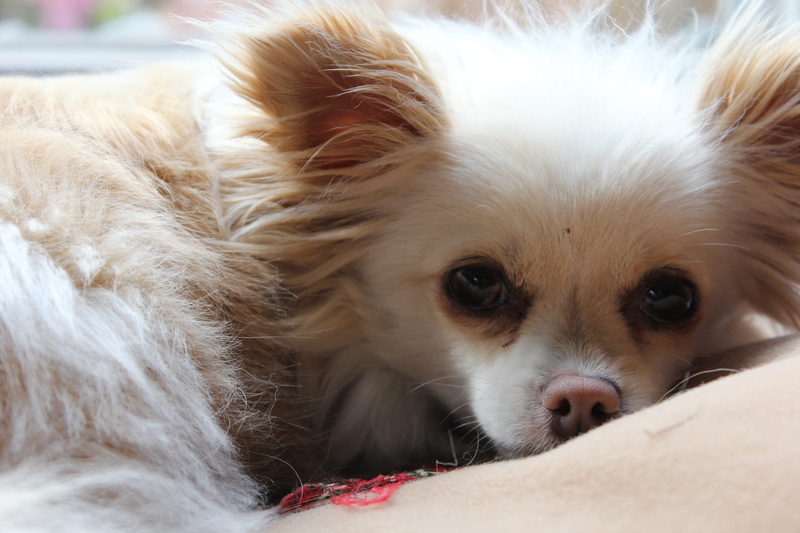 The love and loyalty of my little dog Gracie who makes me smile every day. The happy phone calls I have been having with my son Chris that are slowly helping to rebuild our once estranged relationship. The enjoyment I get from perusing blogs and reading all the posts depicting everyday situations and emotions that I relate to. It was an ordinary Saturday morning when I opened my newspaper to see an article with cute animals dressed up in Christmas costumes. My eyes scanned the page and instantly locked on a little white dog with a lopsided sa nta hat they called Gracie. Every year the Lost Dogs Home has a “12 Strays of Christmas” campaign when they advertise 12 stray pets in the newspaper to try and find them homes by Christmas. Although I had occasionally considered that I might like to have a doggy companion I had no real intention of getting one and I wouldn’t even describe myself as a true dog lover. But something made me sit up and pay attention to this picture of Gracie. Thoughts of ‘should I or shouldn’t I?’ raced around in my head. Do I want her? Will I get her? What if I can’t manage her? What if she bites me? What if she yaps and yaps? What if she wees on the floor? My hubby said ‘we don’t want a dog because it will restrict our lifestyle’. My daughter said ‘yes, yes, yes’. I said ‘I think I want give this dog a home’. My excitement was building and I couldn’t get that cute picture out of my head. I wanted Gracie. What if someone else wants her and gets her first? What if I see her and change my mind? I anxiously dialled the phone number at the shelter over and over again until I finally got through to ask how I could adopt Gracie. I could hear pandemonium in the background with eager people who had already arrived at the animal shelter to meet the strays. My heart sank thinking that I had missed out but I was the first to ask about Gracie and so had first option to adopt her. The lady told me to come and meet Gracie by 10.30am and if I warmed to her and she warmed to me then it would be a perfect match and I could taker her home with me. Now what? Panic. I don’t have anything for a dog. I need a bed, a bowl and lots of other stuff. Oh well I’ll worry about that later. When I arrived at the shelter I could hear what sounded like hundreds of dogs barking and howling and there were hoards of people everywhere. It was hot, noisy and confusing. Clutching my newspaper article I saw lots of other people with the same thing in their hand. I heard little children shouting, “I want Gracie”. With my heart pounding I made my way to the counter and told them I was here to see Gracie. A kind young woman took me through the maze of dog cages. I peered in to each cage and saw lots of huge dogs anxiously pacing around in their small area. I saw what I thought was an empty cage but then a little white animal got off the giant bed to come over to see who I was. It was Gracie. I tentatively held out my hand through the bars of the cage and Gracie put her warm nose on it and breathed in my scent. She looked directly at me and pleaded with me through her expressive eyes to rescue her. It was as if she summed me up in a few seconds and said to herself “yes I’ll go with her”. The lady suggested that Gracie and I get to know each other on the grassed area. When we got out there it was chaotic with lots of loud and excited dogs and people. Gracie started to bark and jump up and run around me in circles and I didn’t know what to do. My heart sank. After all the excitement and build up of coming to see Gracie I started to hesitate about whether I was doing the right thing. I doubted that I had the skills to manage and look after her. I waited there for quite some time trying to decide what to do. I kept looking at Gracie’s face and somehow she convinced me that it would be okay and something in my heart urged me to adopt her. I have never once regretted that decision. It is a now a year since I adopted Gracie from the Lost Dog’s Home. This little dog has changed my life in so many happy ways. Gracie Dee quickly settled comfortably in to our home. She didn’t appear to fret for her previous owner but I often wonder who her owner was and the type of home she came from. That type of stuff intrigues me. As a stray dog she didn’t have any identity so couldn’t be reunited with her owner. The Lost Dogs Home desexed her, gave her a new name, estimated her age and put her up for adoption. Basically her life history was erased. How sad. Gracie brings joy and love to so many people. Her sweet loving nature brings out the best in everybody and she helps people overcome difficult times in their lives. When I had two operations she sensed I was unwell and loyally laid by my side while I recovered. When I go out she faithfully waits until I return and then excitedly barks telling me she is so happy that I came back. Now I realise that this is what she was doing on the first day that I first met her. My heart melts when I cuddle her and watch her sleeping and also when her tiny face peers through the glass door to look for me. I have never before felt so much love for a dog. The love and loyalty she gives me makes me feel fulfilled and special. She is the light of my life and I can’t imagine my life without her in it. My Gracie Dee is one in a million. She is my Christmas miracle. Every year the frantic Christmas shopping rush seems to start earlier and grow exponentially. I love Christmas but I dislike greed. As a child 40+ years ago I remember the excitement building at Christmas time. Putting up our wonky Christmas tree and draping the fairy lights around it made me feel like the happiest girl in the world. Even though I lived in a family that was financially secure I didn’t receive a lot of gifts like most Australian children seem to get today. My memory is that children wrote a letter to Santa asking for one special toy that they hoped he would magically deliver. I vividly remember finding a present on the end of my bed when I opened my eyes on Christmas morning and whispering excitedly to myself “I got it” as if it was the most incredible thing that had ever happened to me. That feeling of pure joy is a precious childhood memory that I carry in my heart always. That magical feeling is priceless and to me represents the essence of Christmas.